I signed up for a giveaway at the recent Laura Gunn night at Modern Domestic. The drawing was held after the event had ended so no one knew who had won. I turned out to be one of the winners. The goody bag included a gift certificate for an hour of sewing at Modern Domestic a Laura Gunn quilt pattern, which can be downloaded for free here and a six pack of beautiful fat quarters of Laura Gunn’s Poppy Collection. Thank you again, Modern Domestic. 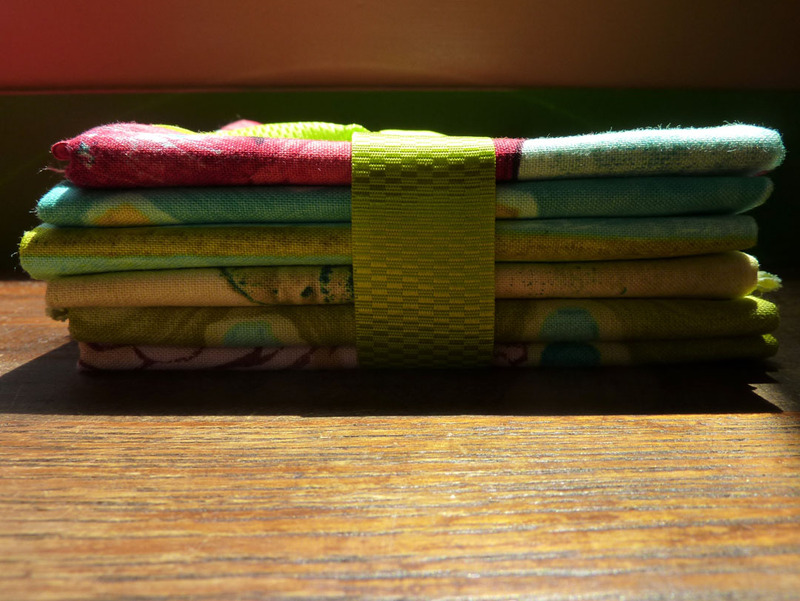 Here are the three fat quarters I bought at the Stitchin’ Post during the Sisters Outdoor Quilt Show. 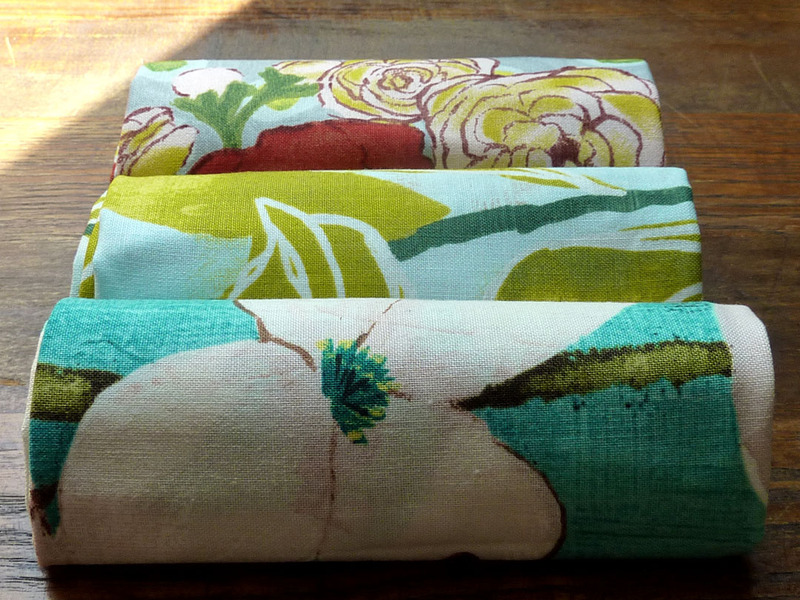 The Dogwood Stripe in front is part of the Poppy Collection Aqua Combo I won at Modern Domestic. 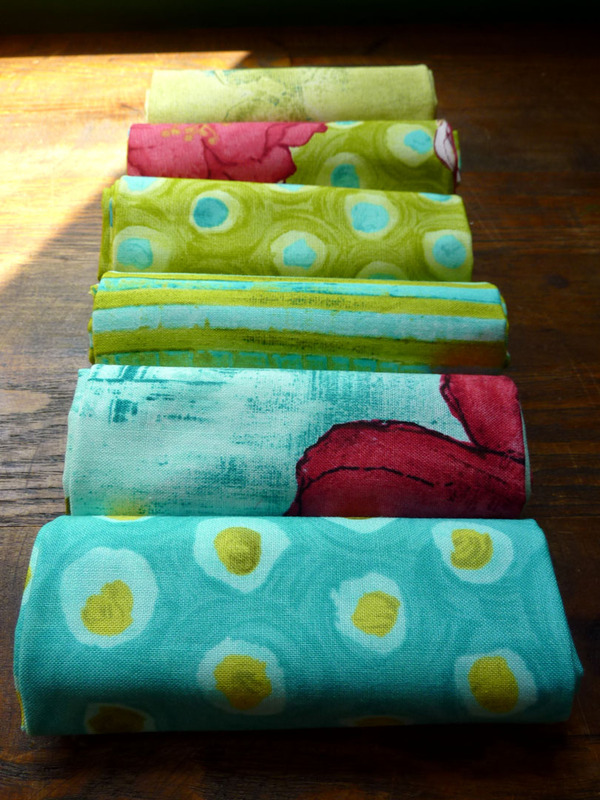 Here are all the the Aqua Combo fat quarters together. 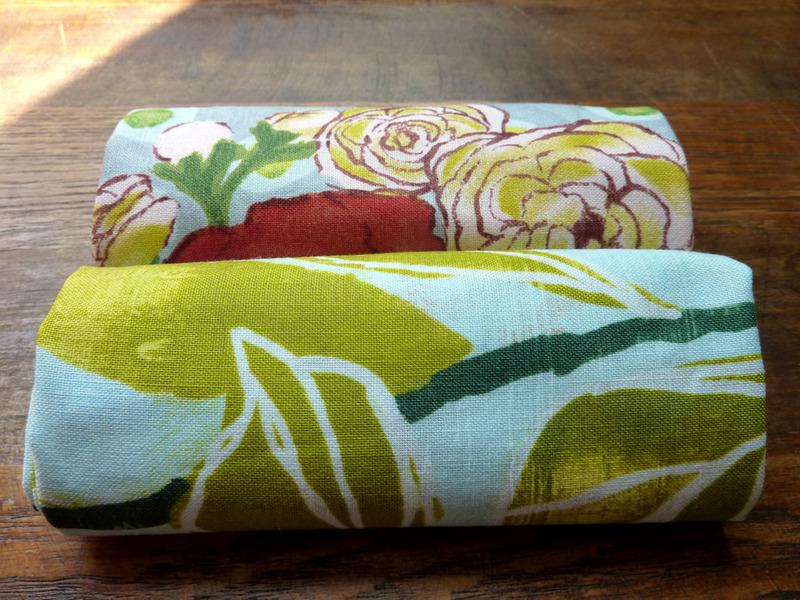 Here are the other two that are also from the Poppy Collection, but from the Grey Combo. I think I have a plan for the some parts of the Aqua Combo that will involve hexagons. 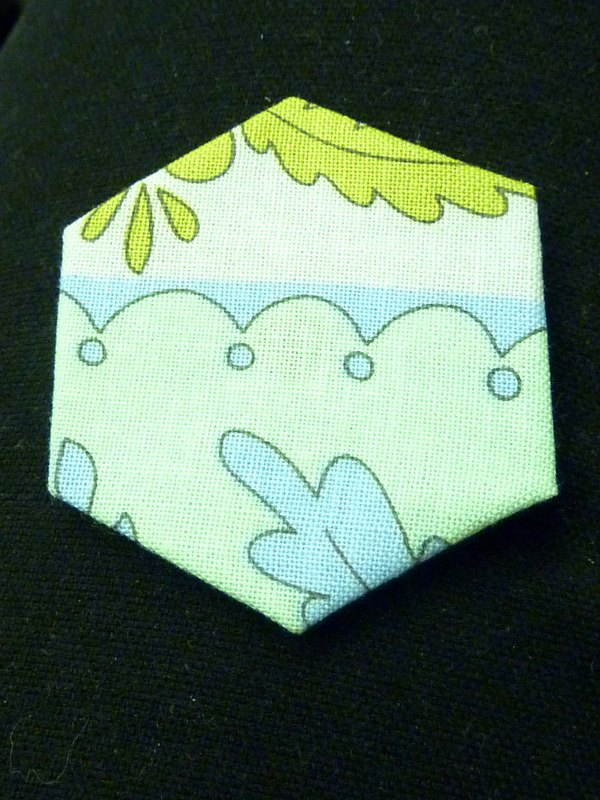 I had received this potholder from Jen at the potholder exchange at my first Portland Modern Quilt Guild (PMQG) meeting. The hexagons were so detailed. I assumed that hexagons would be years off in my quilting journey, but the theme at last week’s PMQG meeting was All About Hexagons. 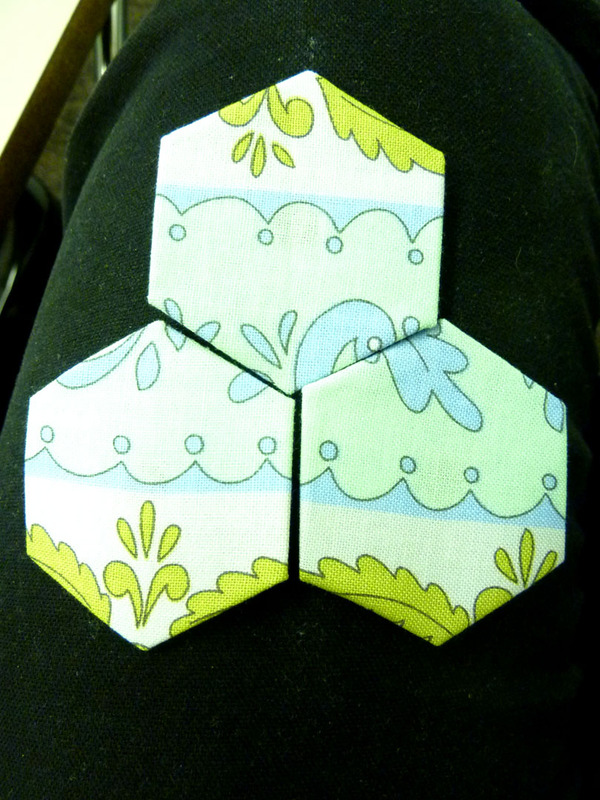 It seemed like many people already knew how to make hexagons, but it was new to me. We actually got to make hexagons! It was so fun. Here is the start of my first hexagon. Now there are three hexagon friends. 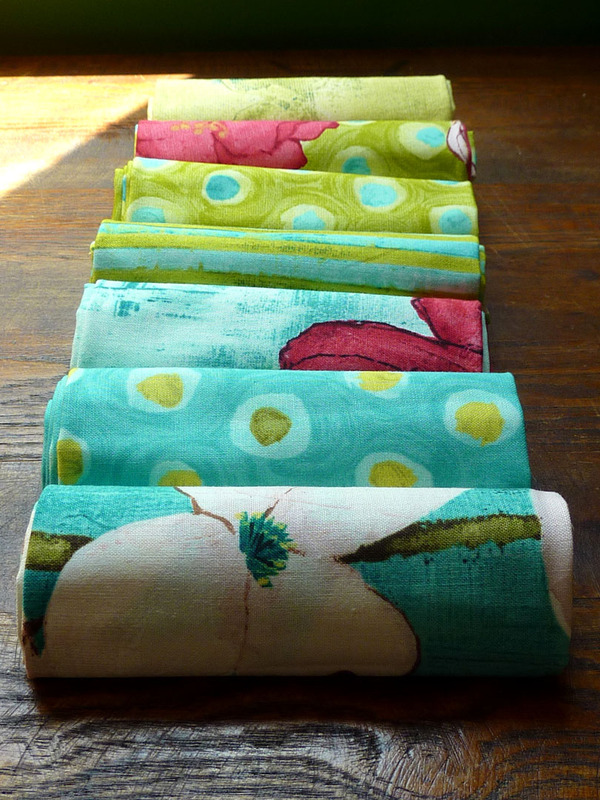 I used fabric from one of the bundles I won at the PMQG Modern Domestic Open Sew. Thanks to Christina from The Sometimes Crafter for leading the hexagon presentation, to Terri from Sew Fantastic for the small group tutorial and to Jill from Made on Main Street for bringing the laser cut paper hexagon templates. I got so hooked on the hexagons that I ordered a few hexagon templates from TabSlot (Jill’s Etsy shop) and I am looking forward to putting them to use. There are lots of great hexagon tutorials available online. If you have wanted to try out making hexagons, don’t wait. It is fun and really quite simple. I am not sure how to integrate the hexagons into a quilt yet, but I have taken the first step on that journey. This entry was posted in Create, Gratitude, Learn, Quilt. Bookmark the permalink. 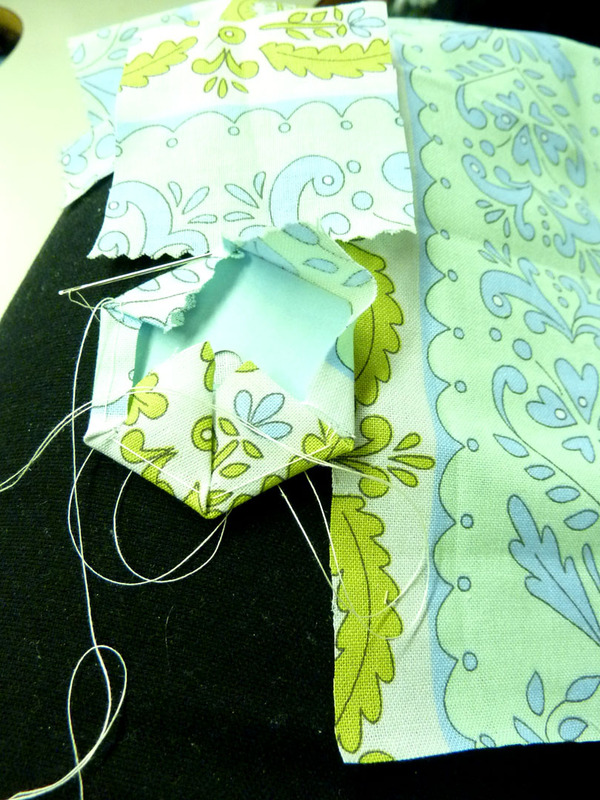 This entry was posted in Create, Gratitude, Learn, Quilt, Uncategorized. Bookmark the permalink.